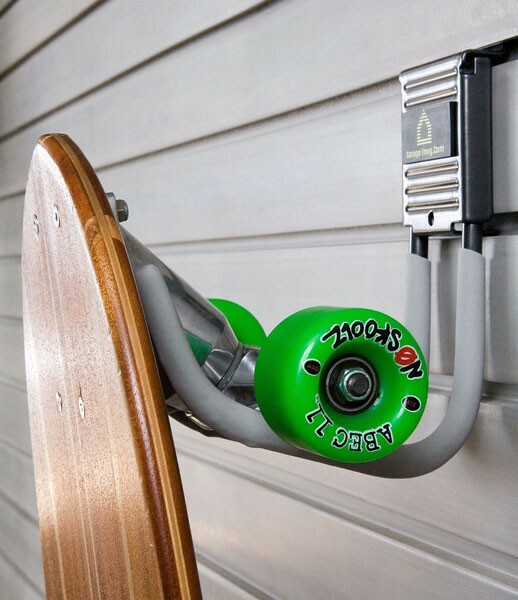 The perfect solution to safely storing your favorite skateboard! The J Hook features an upward tilt, graphite colored, non-slip tips, sturdy holding strength, and is easily attached to Wallscape slatwall with the practical tongue and groove design. This useful slatwall accessory has a variety of uses, and can be used to keep many hardware tools, toys or equipment handy and organized.